Two Bits, Four Bits - Wait a Minute, 20 Cents? 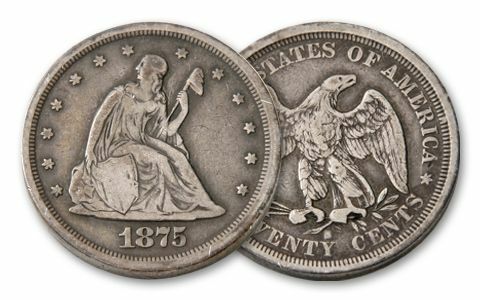 Few collectors realize that the U.S Mint struck a 20-Cent Piece during the 19th century. 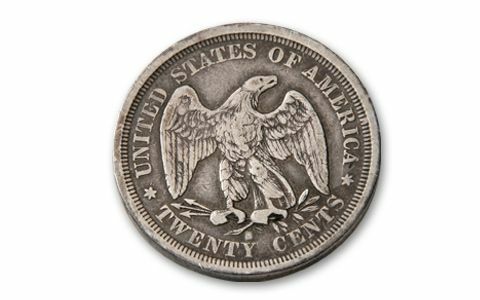 First proposed by Thomas Jefferson as part of his decimal model for U.S. currency, the 20-Cent Piece wasn't adopted until the massive amounts of silver pouring out of the Comstock Lode in Nevada made it feasible. Alas, like the Susan B. Anthony Dollar 100 years later, it was too close to the size of a quarter for the public to accept it. 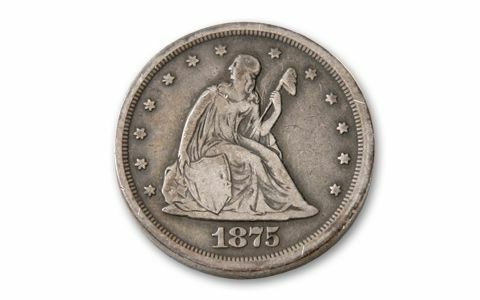 Struck only from 1875 to 1878, fewer than 1.4 million were minted. And, nearly all have long since disappeared. Coins are in Very Good condition and struck in 90% silver. One of the most elusive of all U.S. coins, each comes with a certificate of authenticity and is housed in a display case.